The new crazy game for the first quarter of 2014 is in. This Mobile game is not as complicated as Plants Vs. Zombies or Candy Crush but for sure you'll get addicted at the very first try. One proof that this game invade the town is that you will see some of your friends posting their flappy scores at their facebook wall. 2. Transfer the downloaded file from computer to your phone. You can transfer it using Bluetooth or using USB connector. then back to the downloaded file and open it again. 4. The installation is now processing. Wait until done. 5. You can now play the game. The goal of this game is to avoid the pipes by flying in between the space. The only moves that you have to do is to 'tap', 'tap', and 'tap' the screen and there is nothing more. Sounds easy right? But the twist in here is TIMING. You must know when or when not to tap. For the first time player, passing the first pipe is so tough leading to a score of nothing but zero. As you played it over and over, your pulse will get in to the rhythm. There is no built in share opions in Flappy Birds. So here's one of the trick that you can use to share your (high)score at facebook, twitter, instagram, pinterest and other social networking sites. You must have a screen capture app installed in your mobile phone. 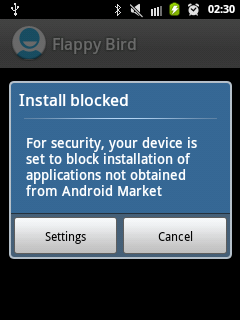 I would like to recommend the Screenshot by Kastor Soft. Once you have that app, be sure to read these info on how to capture mobile screen. 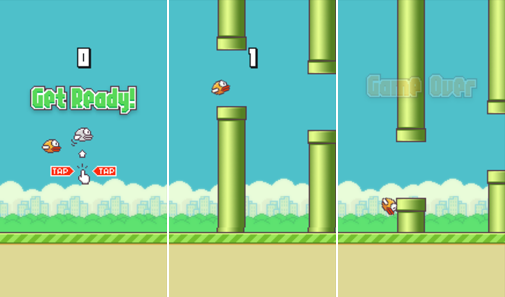 You can now play the flappy bird. If you got a new top score or even if not make sure to capture the screen. Take note that you need to use option 1 which is Tap Around on Screenshot by Kastor Soft. Then do the usual sharing technique you do. 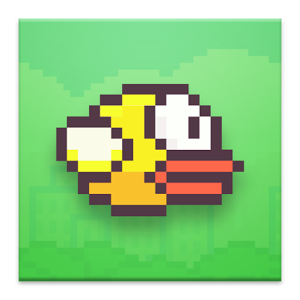 I love this "flappy birds" game too.